This cut is used on the ‘Adler style’ headjoint which incorporates the ‘Adler style’ wings. 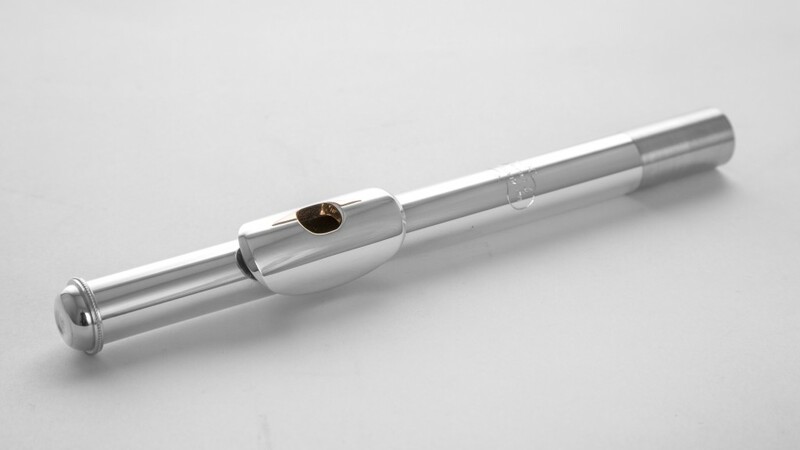 These small winged shaped darts of metal, soldered either side of the embouchure hole on top of the lip-plate are designed to improve the strength of the low harmonics in the sound thus producing a very round and full tone colour. Due to the position of the wings the low notes are enhanced without causing any negative effect to the high register. This idea has been now been adopted by a number of well know makers.